As the legal cannabis industry surges in states where weed is legal and with further development occurring in more regions across the country, it’s safe to say that legal pot has hit the big time. With billions of dollars estimated to circulate in the distributive sector of the business, one area experiencing dramatic growth is the arena of marijuana lab testing jobs. As High Times reports, cannabis testing is set to undergo growth of about 10% each year, culminating in a 1.4 billion dollar industry by 2021. Part of the reason for this massive expansion of testing is due to the passing of recreational legalization in California. The Golden State is not only a historical hub for cannabis culture, but the largest producer of cannabis in the United States today. While black market weed sales have dominated the market for years, it was defined by a noticeable lack of quality assurance testing. A natural result of increased marijuana lab testing jobs is the necessity for skilled workers in this area. Currently, there is a lack of qualified candidates for these positions – this is why marijuana lab testing jobs are some of the greatest marijuana jobs for college educated stoners. The legal cannabusiness has opened up greater opportunities for science minded individuals to receive gainful employment in the industry. Not all applicants necessarily need college degrees to find a job in this field, but it helps as a form of instant credibility. More and more, college educated scientists are realizing the potential of the cannabusiness on providing the opportunity to make six figure marijuana jobs. There are legitimate reasons for quality assurance testing of cannabis products. Without third party organizations to ensure quality in every product, consumers are immediately at risk of consuming chemically-laden cannabis. While many cannabis producers practice safe, fertilizer free cultivation operations, others still use pesticides and other additives to influence abundant growth at the expense of the consumer. Especially in the case of cannabis concentrates, the presence of chemicals can be of particular harm since they are made from highly concentrated extracts from raw cannabis flower. Another concern of marijuana lab testing jobs is the potency and cannabinoid concentration of each product. Now that recreational and medical laws require cannabis products to maintain consistent concentrations of cannabinoids, lab testing allows for workers to determine if producers and processors products match up with requirements. Now that the expanse of consumers has expanded and the tolerance, risen, customers want to purchase products with higher levels of THC and CBD than ever before. THC and CBD are essential cannabinoids that are secreted from gland-like trichomes found in resin deposits. Along with terpenes and the dozens of other cannabinoids and compounds, THC and CBD interact with the human endocannabinoid system to induce different effects. The endocannabinoid system has particular influence on pain, inflammation and mood regulation. When cannabinoids (especially THC) is ingested, it binds to neurotransmitters anandamide and 2-AG in receptors CB1 and CB2. The endocannabinoid system influences both central and peripheral nervous system activity, which is why cannabis can produce positive physical and psychological effects alike. For marijuana lab testing jobs, employees known that cannabinoid concentration is pivotal for making consumers happy and for encouraging noticeable benefits. Especially for medical cannabis customers, it is essential that products are potent and free of any harsh additives. Third party testing facilities require licensing in order to operate, making the nature of cannabusiness testing a slow process. While this can be frustrating for some, this helps to better the overall quality of the products appearing in stores. An area gaining traction on behalf of cannabis testers, researchers and consumers alike is terpene content. Terpenes are more than just the compounds responsible for producing fragrances and flavoring your favorite strains – they have medical potential as well! Terpenes are found in innumerable species of plants and animals in different concentrations. In cannabis plants, terpenes act as natural protectors, helping to keep away intruders and protect against disease. At the same time, terpenes lure in pollinators who help to optimize buds for perfection. In terms of medicine, terpenes have been found to bind to the same endogenous cannabinoids as CBD and THC. Terpenes such as Myrcene have been found to produce anti-inflammatory benefits and help with cell regeneration while limiting cancer cell proliferation. As is detailed by Oregon.gov, laboratories testing cannabis products must report any and all testing failures to state agencies within twenty four hours of completion. In addition to notifying the state, labs must notify growers and processors of the product failure. Oregon.gov goes on to mention that the following reasons are subject to failure of cannabis compliance testing. Firstly, labs must report any test result failure, except those involving water activity. Cannabis containing “detectable” levels of pesticides also must be reported to the OMMP. Rules vary from state to state, but Oregon has sustained one of the most open and progressive cannabis cultures in America. A similar area experiencing a lot of development is cannabis extraction. Extraction technicians use high-powered solvents that when combined with intense heat and mechanized pressure will result in the isolation of cannabinoids. In this same process, plant matter and additives are separated away, resulting in a more pure substance. This process is carried out by cannabis extraction technicians jobs and is an important step in ensuring the quality of products. It is the responsibility of marijuana lab testing jobs to make sure the quality is consistent from batch to batch. CBD oils which do not contain psychoactive material require special testing and examination. 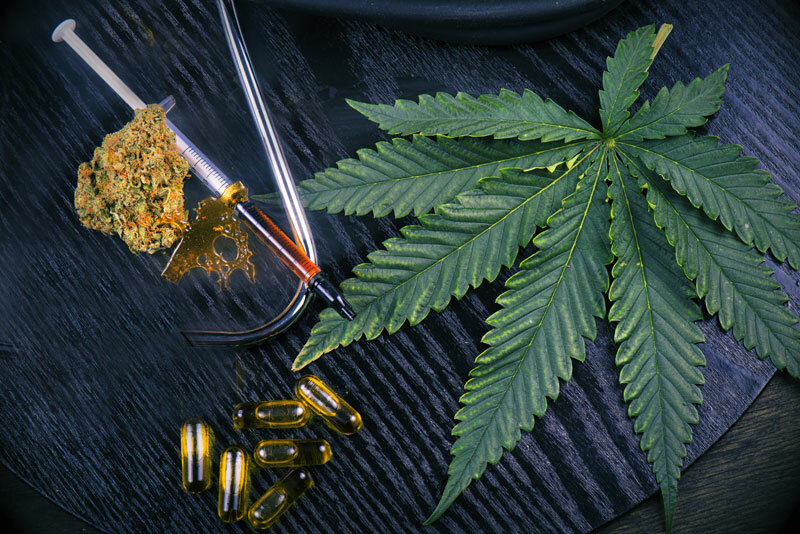 This is because CBD oils are largely considered food supplements or alternative medicine and therefore will be ineffective when containing harmful chemicals. Another excellent way to become involved with furthering the legal cannabis industry is to work marijuana lobbyist jobs. While there are fewer than 30 paid jobs in America, these positions are necessary in educating policy makers and constituents alike. Marijuana lobbyists recognize a lack of knowledge on behalf of legislators on psychoactive THC and non-psychoactive CBD. In addition to its recreational purposes, lobbyists focus on bringing attention to the medical efficacy of lab tested cannabis products. In order to acquire marijuana lab testing jobs, it’s possible you may want to start out with an entry level marijuana job to set you in the right direction. In fact, the cannabusiness is uniquely suited for job mobility as the industry is less entrenched in decades-old American business practices. In this industry, it’s possible to start off in customer service and wind up working as a master grower. One thing to consider, however is that the cannabusiness isa professional industry. While most employees enjoy relaxing and getting their smoke on, when it comes to work, professionalism is key. One of the greatest professional entry ways and possible cannabusiness spring boards is working marijuana trimming jobs. Trimmers experience a lot of hands-on contact with weed itself and get to familiarize themselves with the aesthetics of a properly prepared plant. What’s more, working as a trimmer allows for workers to interact with industry leaders. Bud trimming may not delve into the molecular science of cured cannabis, but it does help to train trimmers to recognize physical inconsistencies from flower to flower. Similar to trimming, budtending jobs are an opportunity to get an idea of what the cannabis industry is like present day and what it takes to ensure proper compliance. Budtenders represent some of the industry’s employees most responsible for following regulations to a “T.” These individuals bridge the gap between the workers and customers of the industry and must follow every rule to limit theft and discourage stigma toward cannabis. Budtenders mainly engage in direct service responsibilities. These requirements involve helping customers select products, then cashing them out and distributing necessary labels and legal literature.Since there are now so many options to choose from in dispensaries, budtenders can explain the differences between consumption methods and help customers make decisions based on their likes, dislikes and tolerance level. Marijuana growing careers are obviously one of the most popular positions pursued by cannabusiness hopefuls. Since it is the first step in producing and preparing cannabis for sale, it helps to give workers the most well rounded analysis of what it takes to produce a great product. Growers who have worked as assistants or led an operation know that the final product is about both quality and quantity. In the case of producing better, healthier buds over higher yields, marijuana lab testing jobs ensure growers can no longer cut corners and sell less-than-stellar bud. Whether the grow operation takes place outdoors or indoors, soil or hydroponic, growers must follow their crop through every step of development. Depending on whether they are growing from seed or using clones, plants must receive adequate water and nutrition, as well as light. Furthermore, growers must take every precaution to make sure the plants are protected from pests, mold, mildew and disease. This means having to create protocol for humidity and air circulation as well. As the next few years unfold, it’s likely that the industry as a whole will continue to grow alongside the creation of more jobs. Lab testing is essential for making sure that consumers are happy and healthy and so is the environment. Not only do pesticides and other chemicals harm people, they hurt animals and surrounding plant life as well. While the American government does not consider any cannabis cultivation to be classified as “organic,” many cultivators produce unofficially organic products that set the standard for quality.